So if you remember in my last post I shared a little bit about how I made the decision to go natural with my hair (here's the post in case you missed it). Although I made this transition years ago, I noticed I been getting so much great feedback on my social media pages that I decided to start incorporating it a bit more on the blog. 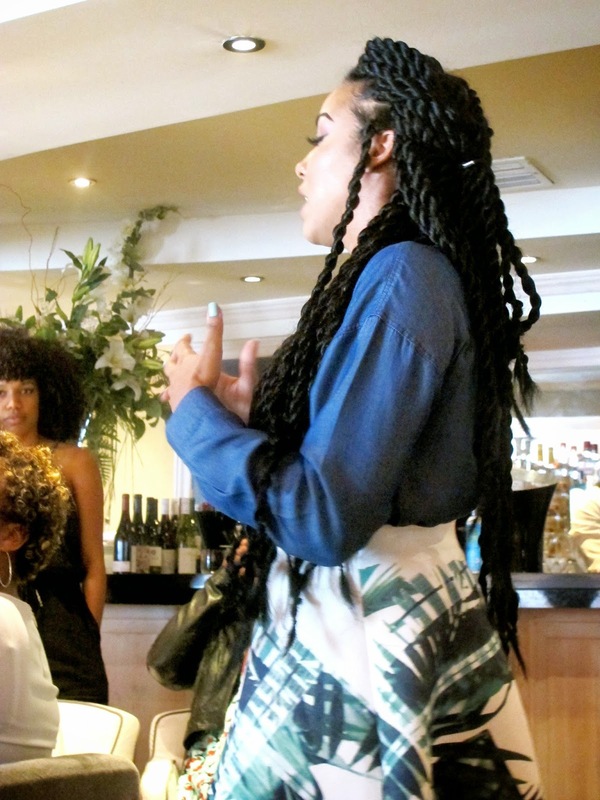 As a great introduction, I wanted to share this Curls Over Brunch event I attended a few weeks ago. It was hosted by two of my favorite youtubers, Jade from LipSticknCurls and Bianca of Bumblebee7, as well as a room full of other naturals. We all enjoyed a fancy 3 course brunch at Fig and Olive, in which I found myself over eating on their carmalized onion crostini...oops! Aside from the eating and girly chat, we also were each given a gift bag full of some of Cream of Nature's best products. I already played in most of, so do expect to see a review coming up on my youtube page. Till then I left a few pictures from the afternoon.